Christopher Reeve's first two Superman movies (watch them here and here) were blockbuster hits, and beloved by both fans and critics. But when 1983's Superman III (watch it here) didn't achieve the same level of success, and Reeve sought other projects to stretch his acting muscles, Hollywood began looking for a new hero, as did producer Alexander Salkind. Luckily, Salkind had an ace up his sleeve--when he originally acquired the rights to make a series of films about Krypton's most famous son, he'd also picked up the celluloid rights for Kal-El's cousin Kara Zor-El, known across the galaxy as Supergirl. First introduced in Action Comics #252, Kara (read her adventures here) was--like so many young women introduced during the Golden and Silver Ages of comics--a female counterpart to her namesake, with an almost identical costume and power set. As DC had done when she debuted in the comics, Alexander and his son Ilya Salkind saw Supergirl as an opportunity to attract an entirely new audience of young women. With the Supergirl rights already cemented, the producers looked for someone to helm the new project. They first approached Richard Lester, who'd taken over the Superman franchise from Richard Donner during the production of Superman II. Lester wasn't interested, though, and unfortunately for the producers neither was their other choice, The Sound of Music and West Side Story director Robert Wise. The man who would eventually take the reins on the project was the French director of Jaws 2 and the Christopher Reeve-starring Somewhere in Time, Jeannot Szwarc. The Reeve connection ended up landing Szwarc the job, as the actor was--according to Jake Rossen's 2008 book Superman Vs. Hollywood--very complimentary of the up-and-coming director. With Szwarc set to shoot the film, the search began for Supergirl herself. The roster of actresses who tested and were considered included huge names like Demi Moore and Brooke Shields. 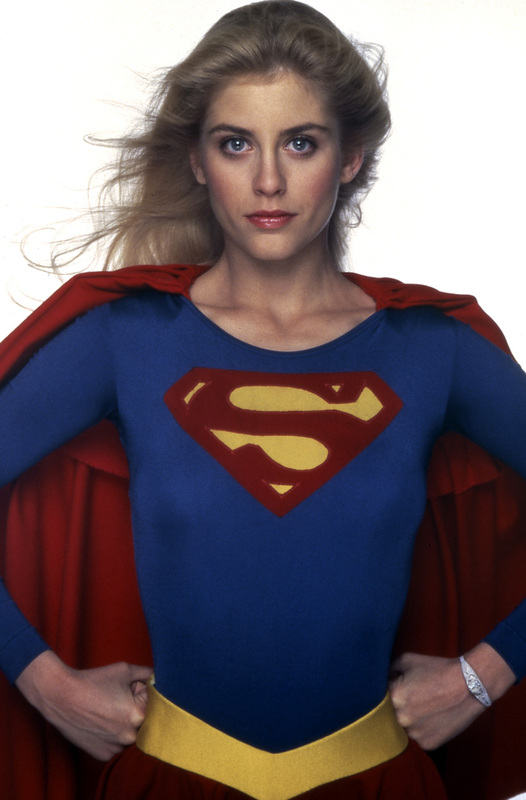 But both producer and director were convinced that they wanted an unknown (as Reeve had been) and teenager Helen Slater, a recent graduate of New York's High School of Performing Arts, was eventually cast as Kara. Slater underwent an intense training regiment under the same bodybuilding coach who'd helped Reeve bulk up a few years earlier. Speaking of the Man of Steel, Reeve was at one point meant to have a cameo in the Supergirl film, but he dropped out before production began when his work schedule filled up. Fortunately, acting legends Peter O'Toole and Faye Dunaway joined the production as Zaltar -- Kara's friend, and the founder of her home, Argo City -- and the film's Big Bad, the witch Selena. The film's production took place at London's Pinewood Studios in 1983. As Supergirl begins, it sticks to Kara's then origin story, that of a young woman set adrift on a floating rock in space. Argo City, we learn, was separated from the planet Krypton after it was destroyed. Protected by a dome, a small percentage of the Kryptonian population continued to live in space. In her original comic-book origin, Kara becomes the last survivor of Argo City, after the colony's dome is destroyed. She's sent--just like her cousin before her--to Earth. 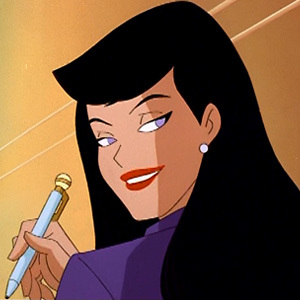 But in the film, Kara chooses to leave Argo City in an attempt to save it after Zaltar turns cad and steals the "Omegahedron" that powers the film's city. Slater's wide-eyed charm and sweetness is a perfect fit for Kara. She especially shines during the film's flying scenes, bringing a balletic grace to her character that stands in stark contrast to Christopher Reeve's ramrod intensity. And the film's vision of a science-fiction world filled with good-looking teens and magical, hammy villains is a joy to behold. Reeve's Jimmy Olsen, played by Marc McClure, even shows up as the boyfriend of Kara's new bestie Lucy Lane (Lois's sister). Alas, 1984's audiences and critics were not kind to Supergirl, which was released during the holiday season to negative reviews and a disappointing box office of just $14.3 million in North America. Sadly, the film's underwhelming reception is believed by some to have been used for the next two decades as an excuse not to make female-fronted superhero movies. It also ended the Salkinds' ownership of the Superman film rights, which they sold to Cannon Films in 1986. 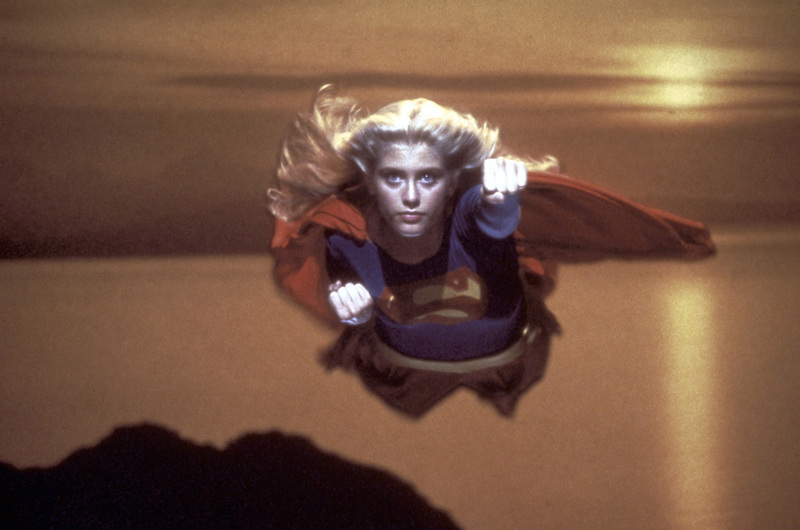 Although the film may have not been appreciated upon its release, Supergirl was the first mainstream, female-led American superhero movie. It paved the way for the women heroes who're currently taking the world by storm, and 2017's smash-hit Wonder Woman. It also opened the door for today's Supergirl TV show, on which Slater has a recurring role as Kara's adoptive mother, Eliza. 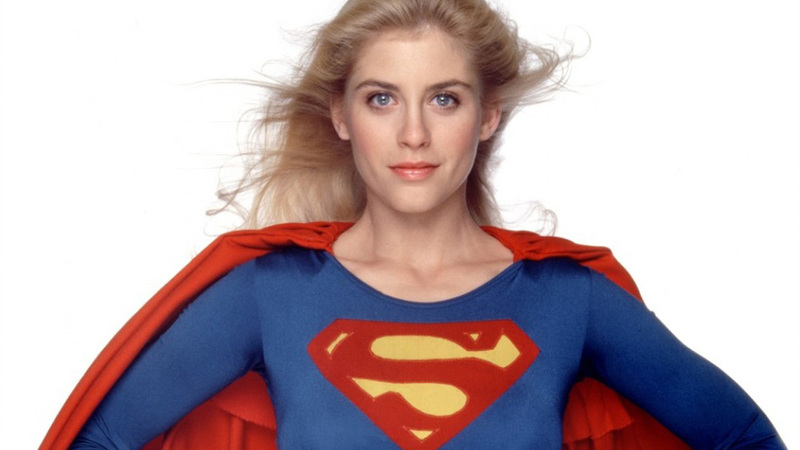 With heart, humor, and a heroine to cheer for, the 1984 Supergirl is a must-see for all fans of the Girl of Steel. Watch it here. Are you a SUPERGIRL fan? Discuss the film and its hero in our Community!